Full disclosure. Organising funding for strata plans & body corporates is hardly my favourite thing in the word. In saying that it seems to be the focus of a lot of you. And why not? Up until now it seems like an uncracked market. 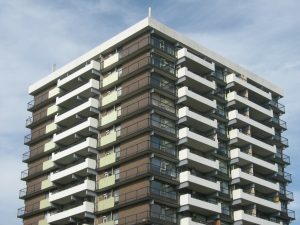 When you’re selling to a unit or complex where common areas are governed by a strata plan or body corporate, thetype of funding is different to both the residential and commercial agreements you are used to. Firstly, depending on your state you might refer to it as a Body Corporate instead of Strata. To make things simple I’ll simply refer to it as Strata. The strata plan is not a commercial entity so the normal commercial loans don’t apply. You also can’t use standard personal loans either because what happens if an owner wants to sell? They’d still be liable fora loan on an asset they aren’t using anymore. There are special loans set up specifically for this purpose. It’s pretty much just a personal loan but the borrower is the Owners Corporation of the Strata Plan. Or the collective group of owners at the any given time. There are very few lenders that touch this space and to be honest I’m confused as to why. The money for the loan payments comes right out of the strata admin account. So the risk of them not paying is only a factor if strata levies aren’t paid. The more people in the building the better! Even if a few people don’t pay their strata levy it’s only a small dent in the total money in the kitty. The problem with these loans, is the same problem with selling products to schemes. Getting something approved by a strata committee takes a while (and by a while I mean ages!). If the payback on their system is 3 years, approval by the committee will probably take 6!